Something's in the water... A chilling new thriller from the Sunday Times bestselling author of Like This, For Ever. Ex-Detective Lacey Flint has quit the police for a safer, quieter life. Or that's what she thinks. Living alone on a houseboat, she is trying and failing to get over the love of her life, undercover Detective Mark Joesbury. But Mark is missing in action and impossible to forget. And danger won't leave Lacey alone. When she finds a body floating in the river, wrapped in white burial cloths, she can't resist asking questions. Who is this woman and why was she hidden in the fast-flowing depths? And who has been delivering unwanted gifts to Lacey? Someone is watching her very closely. Someone who knows exactly what makes her tick. 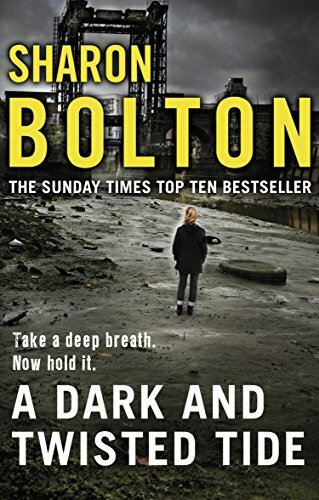 SHARON BOLTON (previously S. J. Bolton) is the author of six critically acclaimed novels: this is her seventh novel and features the popular DC Lacey Flint and DI Mark Joesbury. She has been shortlisted for the CWA Gold Dagger for Crime Novel of the Year, the Theakstons Old Peculier Crime Novel of the Year and the CWA Dagger in the Library. Sharon lives near Oxford with her husband and young son.